Sprinkle chicken with pepper; arrange in 4-quart crockpot. In bowl, combine mushrooms, onion and seasoning. Add flour, toss to coat. Over chicken in crockpot, layer mushroom mixture, bay leaves, broth and tomatoes. On LOW setting cook until chicken is tender and no longer pink near bone, about 8 hours, stirring in olives and capers during last 15 minutes of cooking. Remove bay leaves. 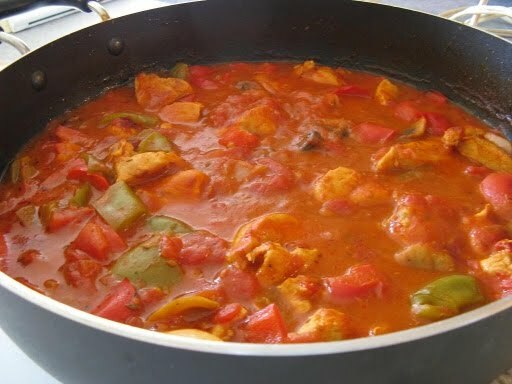 Serve cacciatore over pasta or rice.